This post brought to you in partnership as a Dremel Education Ambassador. Since our move last summer the school year has been NON-STOP running! I’m really excited because coming up we will be exploring using our 3D printer as part of the Underwater Robotics team at school as the team progresses in learning. They will be spending the year building a working underwater ROV for a marine tech competition. 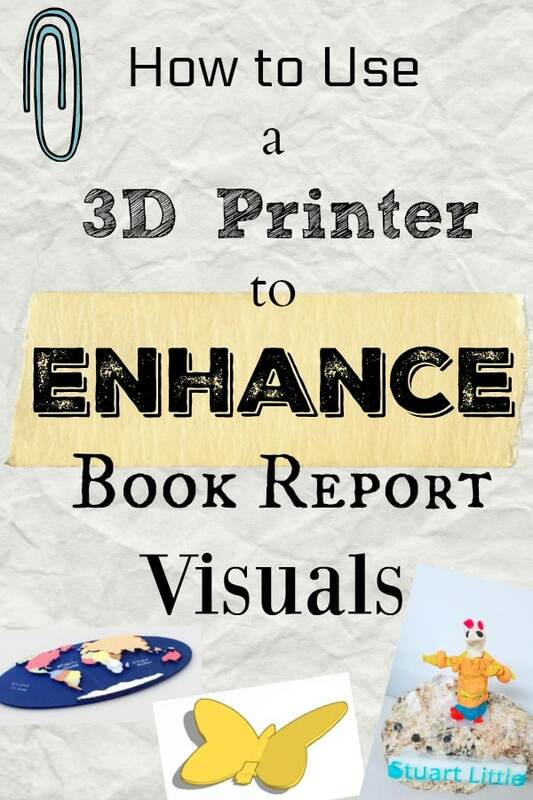 But today I want to talk about using your 3D printer to enhance book report visuals. You can use these same principles for enhancing science fair projects and other academic presentations whether in elementary school, jr/high school, and beyond! It provides a fantastic tactile learning experience to help students retain information learned about each presentation or visualize prototypes. If you’re new to 3d printing I HIGHLY recommend checking out Dremel Education and their 3d printers. I use their 3D40 3D Printer which I LOVE but recently they have also launched their new 3D45 3D Printer (which is stackable!) as well as a Laser Cutter! Creating and feeling a 3D printed visual helps to bring books to life! The great thing about 3D printing is that there is NO age limit on creativity! This means whether your student is in 3rd grade or 12th grade they can use 3d printing technology to enhance their presentation. And if you’re doing a “Living History” wax museum type book report – the potential for 3D creation is incredible! Whether you download and print pre-made files from Tinkercad, use Dremel Education’s Model gallery, or you create your own – there are a lot of ways to feature visualizations in your presentations! 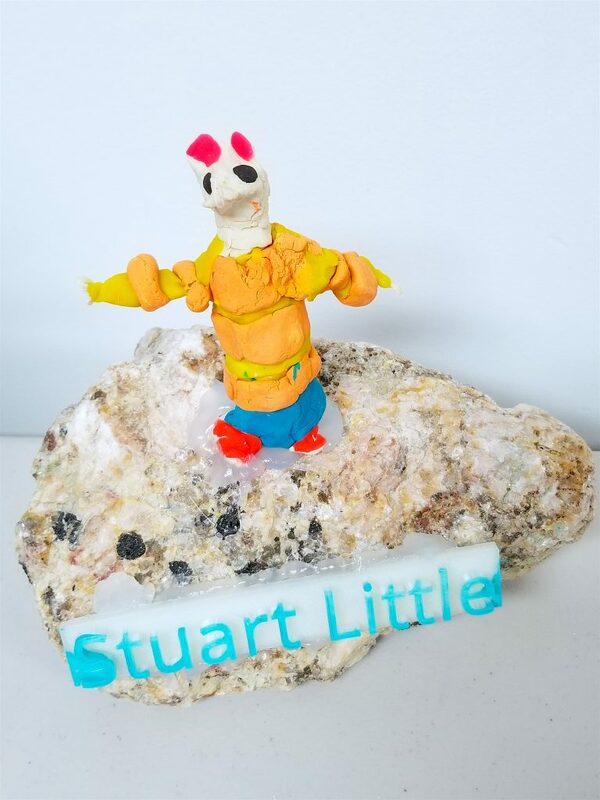 You can print this 3rd grader’s Stuart Little file here. Nameplates are an easy item for younger grades to create by simply manipulating pre-designed letters and shapes. They can then choose to paint the outside of them like the one you see in the photo OR they can use them as an interactive stamping tool. Turn these nameplates into necklaces, stamps, statue plaques, artwork, and other creative design ideas! 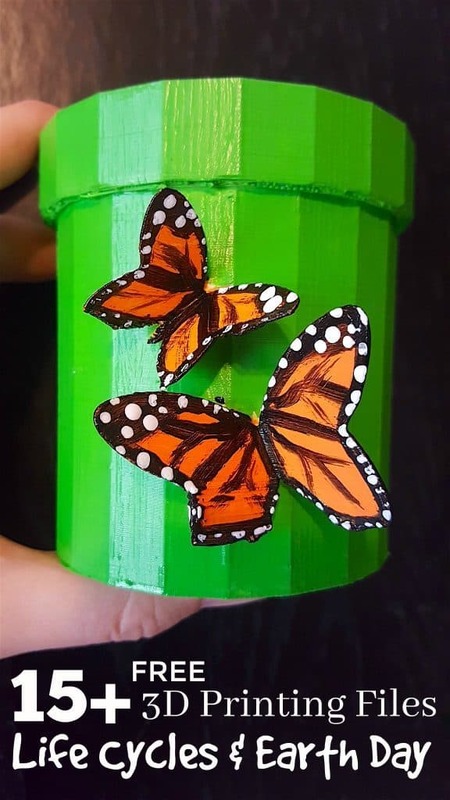 This is one of the simplest things for elementary age students to custom create when it comes to 3d printing for book reports! Imagine the students using your 3D printer to design their mobile book report hanging down the hallway! There are a lot of variations of creating busts and figures from books to use as a visual in a 3D printed book report. 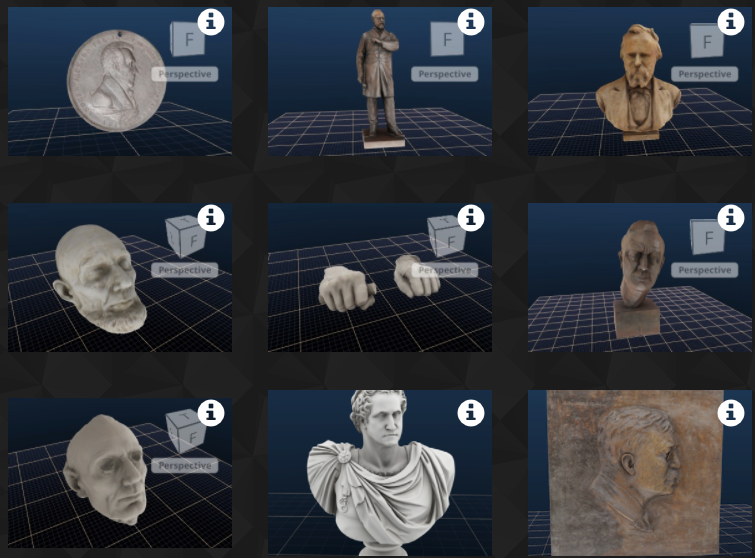 These free 3D printed files of Presidential Sculptures from the Smithsonian are simply amazing! But they aren’t your only option! You can still use your 3D printer for less intricate aspects of a figure such as designing a block base for a clay character to stand on. Or printing a small plaque to sit next to a figure created from another medium. The Metropolitan Museum of Art also has some stunning 3D printing files available as well. Maps are a fantastic, although intricate, 3D visual when sharing report visuals. 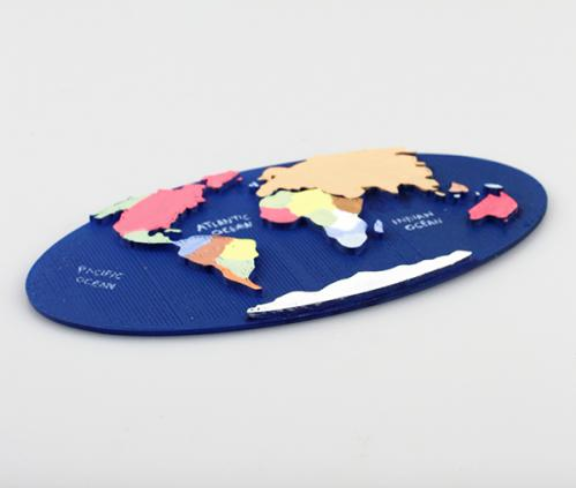 Students can design their own maps or use pre-designed files like Dremel Education’s World Map. Maps can be as simple as a flat rectangle with “X” marks the spot for books like Treasure Island or created in a 3D globe fashion for more advanced students. If you scour around you’ll also find all sorts of topography maps available online. Along with this is creating simple signs such as a famous street sign, billboard, protest sign, etc. The great thing about 3D printed landmarks is that there are a TON of free files online to use! Landmarks can be very difficult to design with so many details so if you’re using a pre-designed file put it into a diorama scene and use other mediums to enhance the imagery! Sometimes an important personal effect can provide a strong artistic visual to pair with a book report presentation. And it can also provide an easier object to create for younger grades. Consider ideas like a teddy bear to go with a book on Theodore Roosevelt. A top hat painted black to go with a story on Abraham Lincoln. Check out these free 3D printed Viking files from the History Channel! This book report visual idea is more appropriate for middle and high school students and can range from creating a hairpiece, hat, necklace, walking cane, mustache, eyeglasses, or any other combination of items from a main story character or book theme. If you, your child or student has used a 3D Printer to enhance a report I’d love to share your photo here! 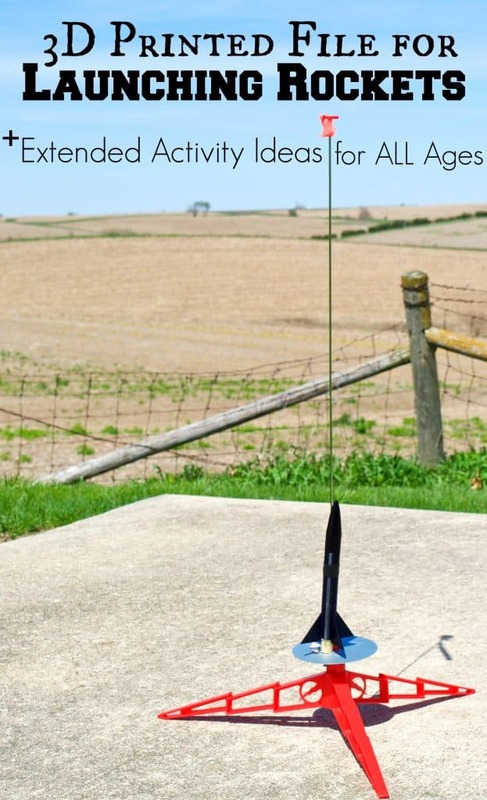 Checkout these other elementary, middle, and high school lesson plans for 3D Printing!